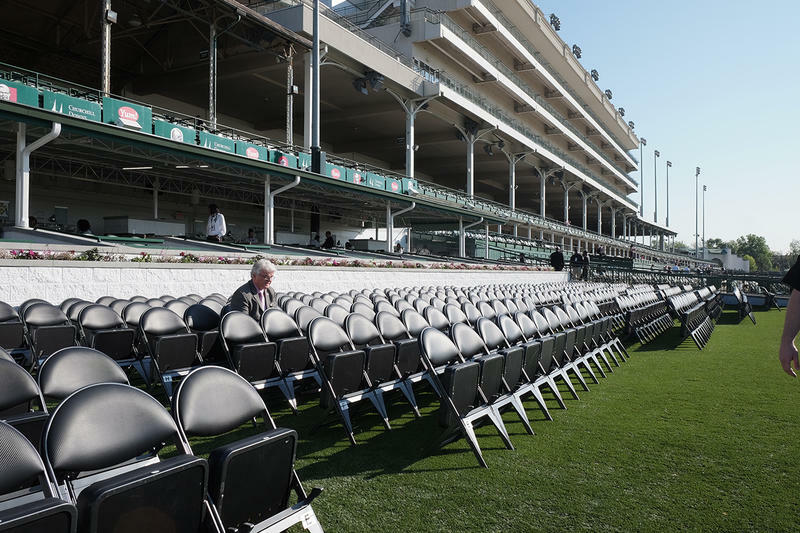 Outdoor seating with hospitality for the Kentucky Derby includes an outdoor, reserved seat with food and beverages. Tickets are available in several locations on the 1st and 3rd levels along the finishing stretch of the racetrack. 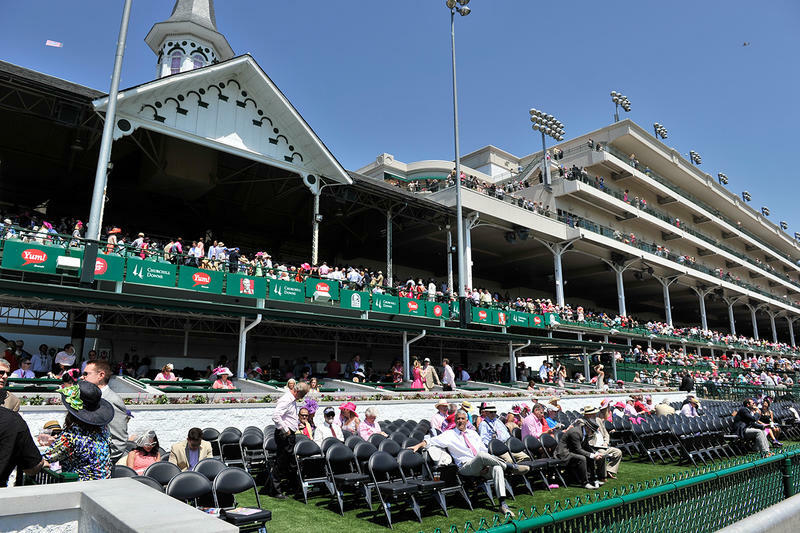 Kentucky Derby tickets are sold as a 2-day package, including both Kentucky Derby and Oaks days. **Pricing is subject to change on an annual basis. The Courtyard offers a front row seat to thunderous racing and winning celebrations. The Courtyard is located in Sections 118 and 119, where it sits next to the trackside winner’s circle and directly on the rail of the finishing stretch of the dirt racetrack. 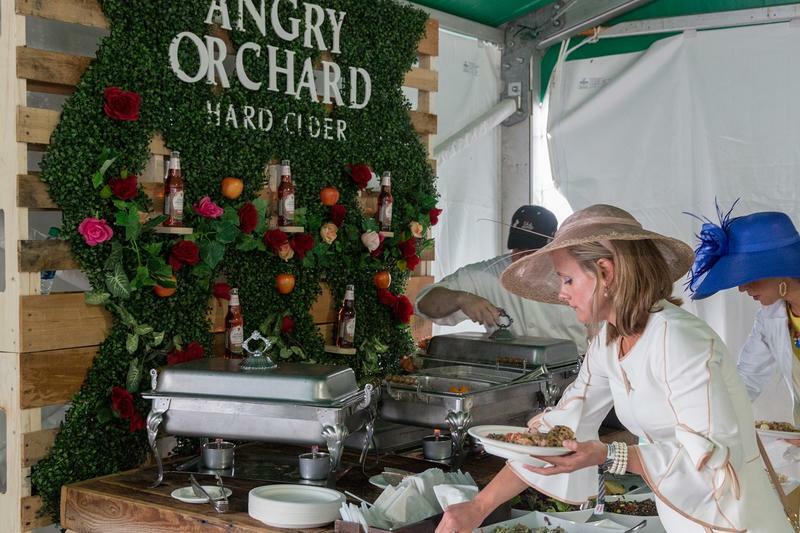 Guests of the Courtyard have access to an indoor food and beverage hospitality area serving small plates and featuring an open premium bar with exclusive restrooms. 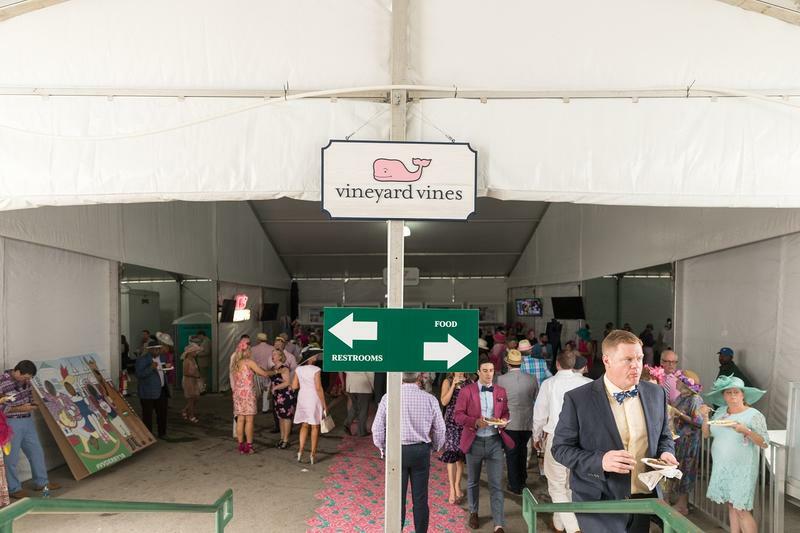 The Courtyard tickets are available for Derby Week events. Click Here and select the date you would like to attend and then select Courtyard on the map provided. 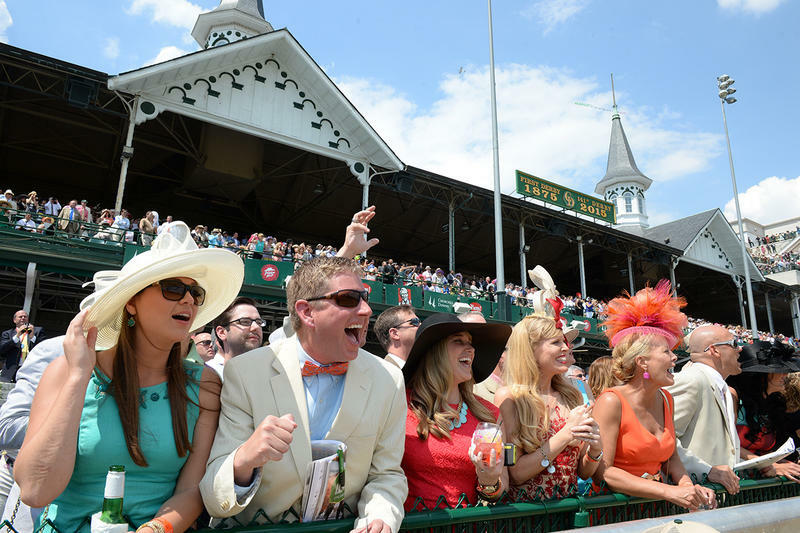 The Courtyard tickets for Oaks & Derby are available for purchase at Derby Experiences Official Ticket Packages. 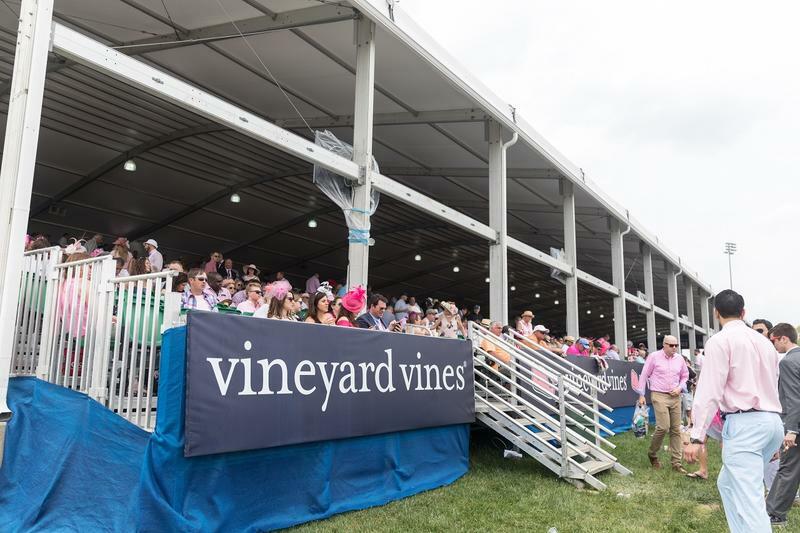 Situated on the iconic first turn of the racetrack, the vineyard vines club (formerly Section 110) offers a front row seat to thunderous racing and the famous Kentucky Derby Walkover, where contenders and their connections parade along the track from the barn area to the Paddock prior to the big race. Tickets include food and beverage (alcoholic and non-alcoholic) and dedicated restrooms. 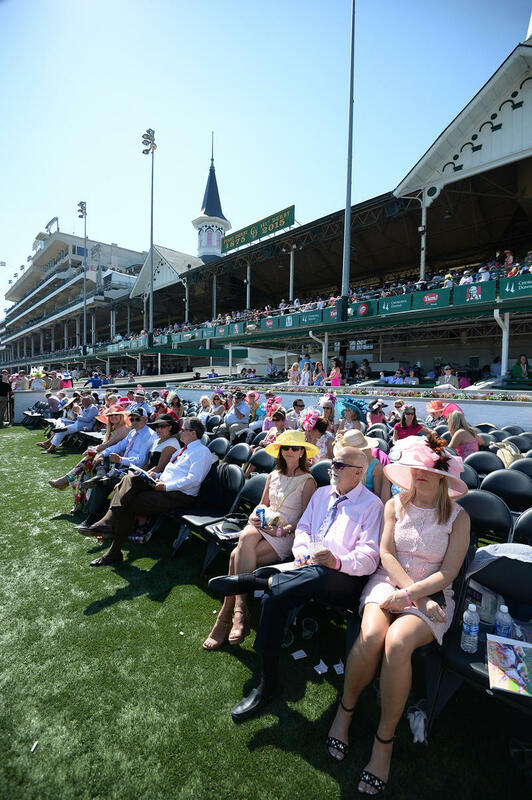 Seating undercover is $976 per person, while uncovered seating is $876 per person; both inclusive of Kentucky Derby and Oaks days. 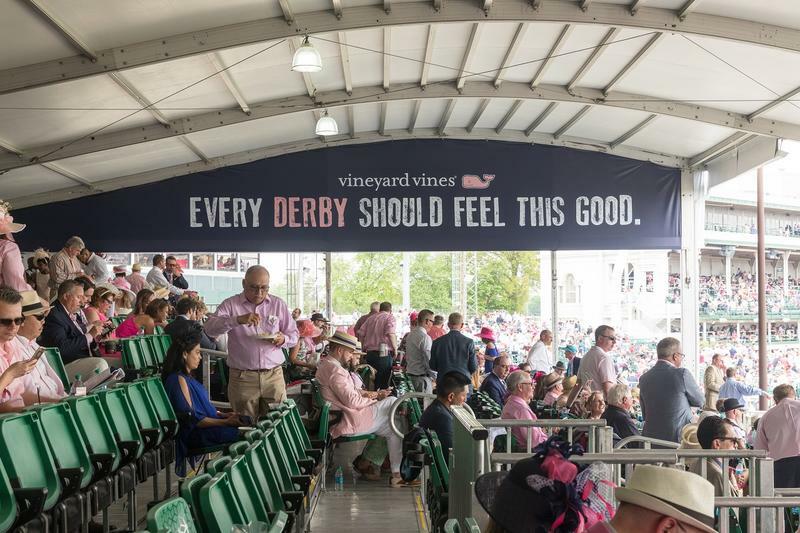 vineyard vines club tickets are available for purchase during the Single Year Online Sale each November. 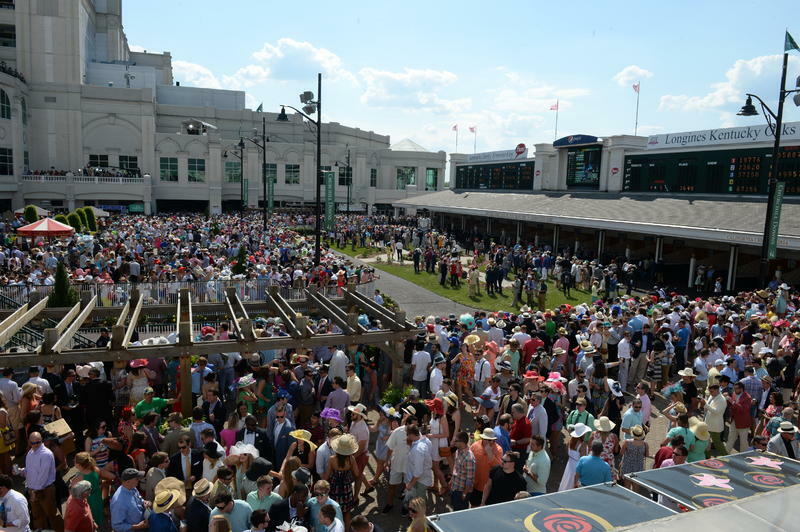 To check availability for this year's Derby & Oaks events, please Click Here. 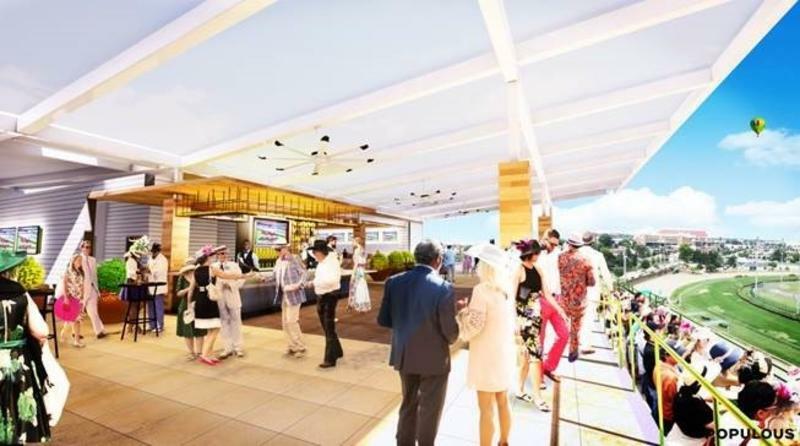 The new Roof Garden is located atop the Starting Gate Suites. Guests on the rooftop will be able to gaze at an authentic panoramic view of Louisville while enjoying access to several upscale bars and food offerings in a cozy yet party-like atmosphere. 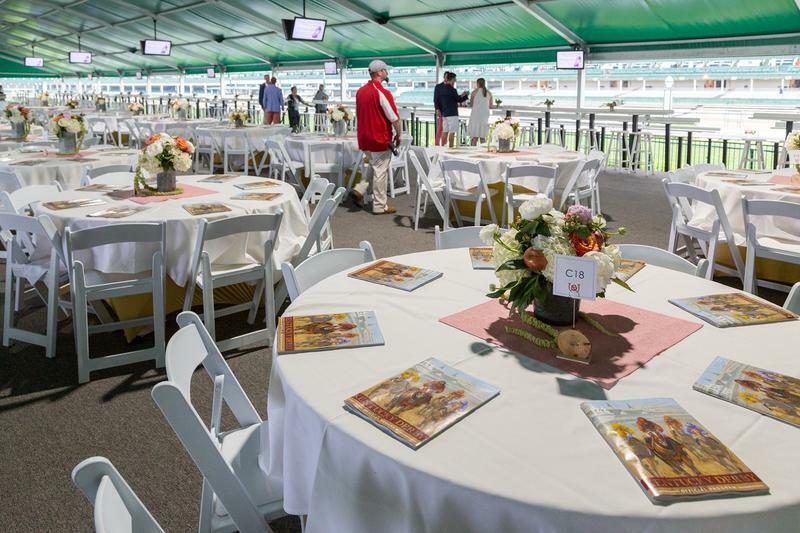 On Derby and Oaks days all tables are 8 seats with no direct track view from tables. 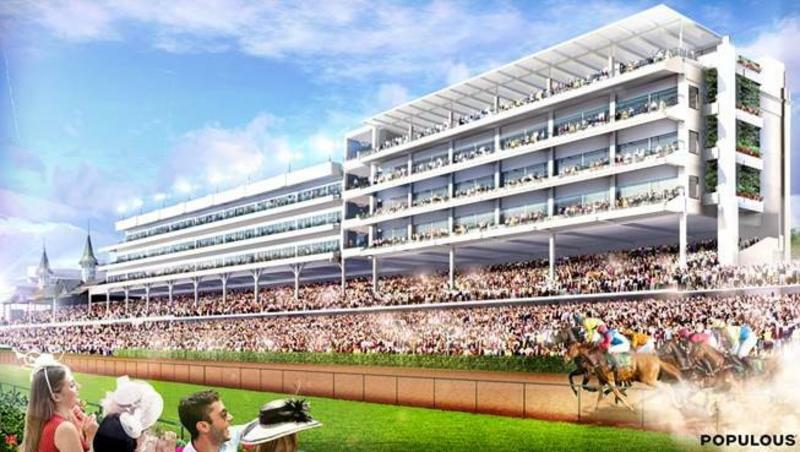 Includes access to rooftop bar, balcony, and 3rd Floor Clubhouse for track viewing. 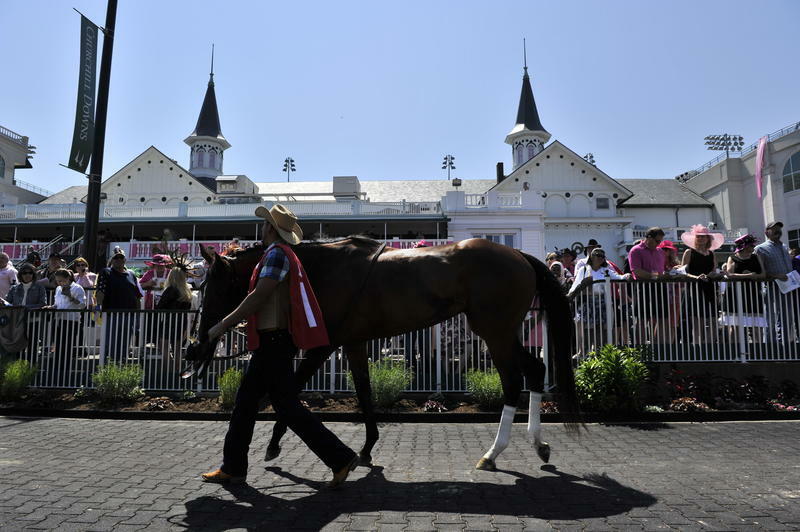 Pricing for the 2-day Derby and Oaks ticket is $1,799. 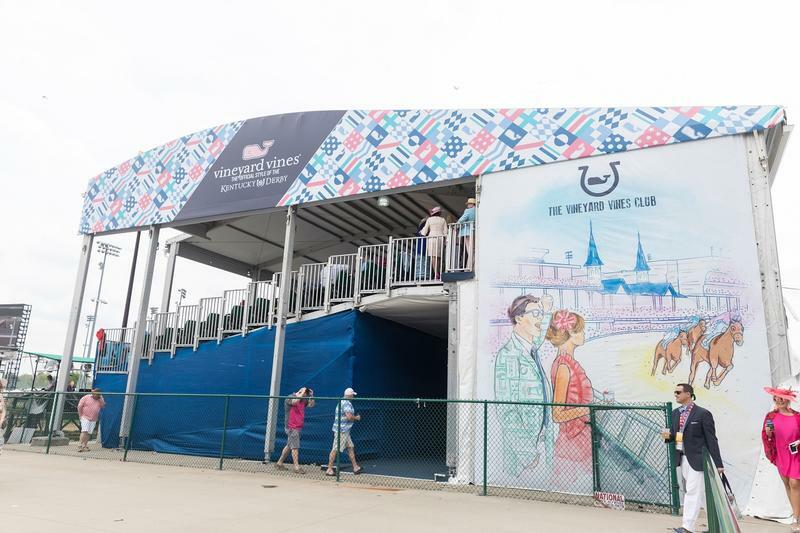 Be a part of the excitement and anticipation of each race as the jockeys walk next to your table and across the Plaza Balcony making their way to the Paddock before each race. 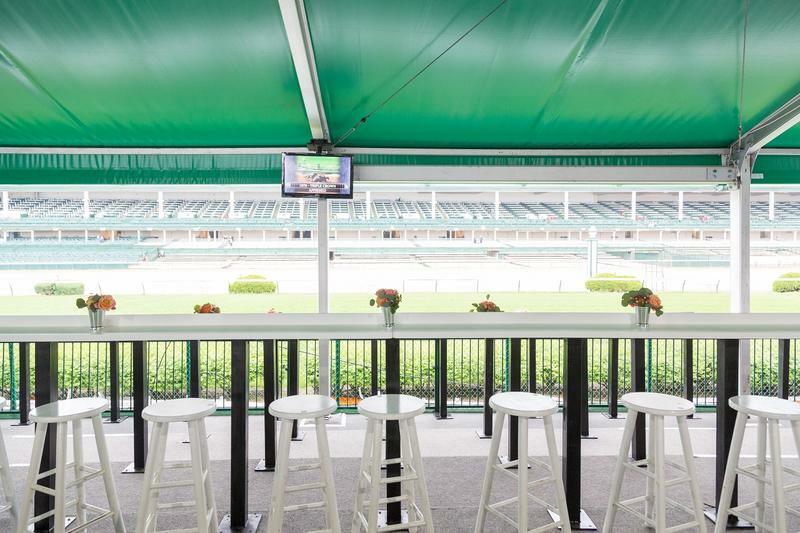 Plaza Balcony tables are located undercover, directly overlooking the Paddock area, and seat a total of six guests. 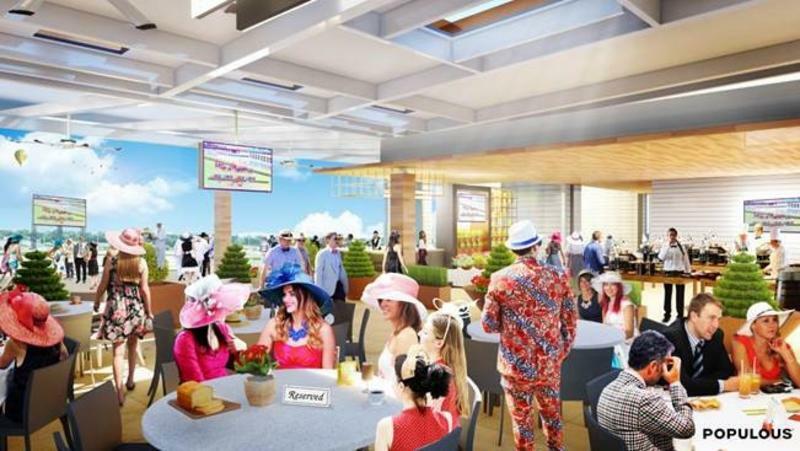 In addition to a reserved dining table, guests of the Plaza Balcony have walking access to the third floor clubhouse area which offers a view of the racetrack. Plaza Balcony tickets include a chef’s table buffet and access to a dedicated cash bar. 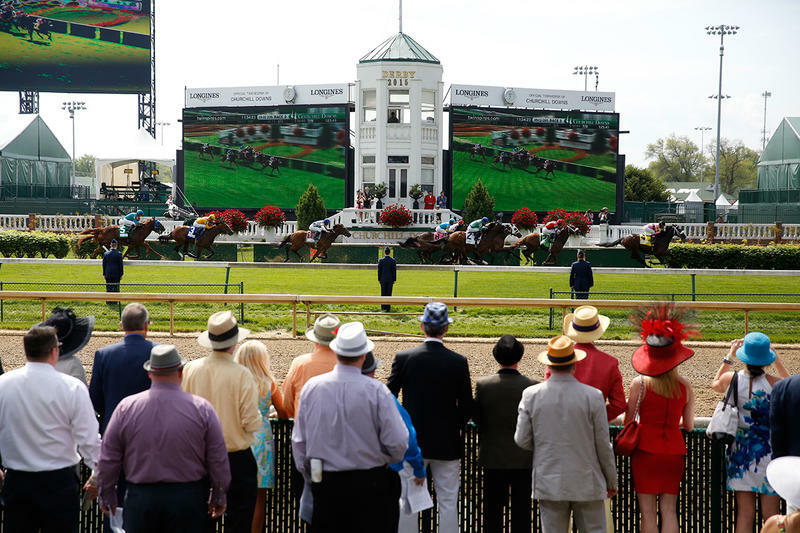 The pricing for a table of six starts at $8,112 inclusive of both Kentucky Derby and Oaks days. The Plaza Balcony tickets are available for purchase during the Single Year Online Sale in November. To check availability for this year's Derby & Oaks events, please Click Here to visit the online sale.